John Forkin, Managing Director at Marketing Derby. Paul Broadhead, Head of Community Investment & Education Outreach at Rolls-Royce plc. Why become an E4E volunteer? E4E is a vitally important component in the continued economic resurgence of Derby as it enables young people to develop vital skills and become well-informed about the potential careers available to them. Furthermore, by interacting with students, volunteers can provide useful and relevant advice thereby having an influence on the future talent pool from which local employers can pick from. 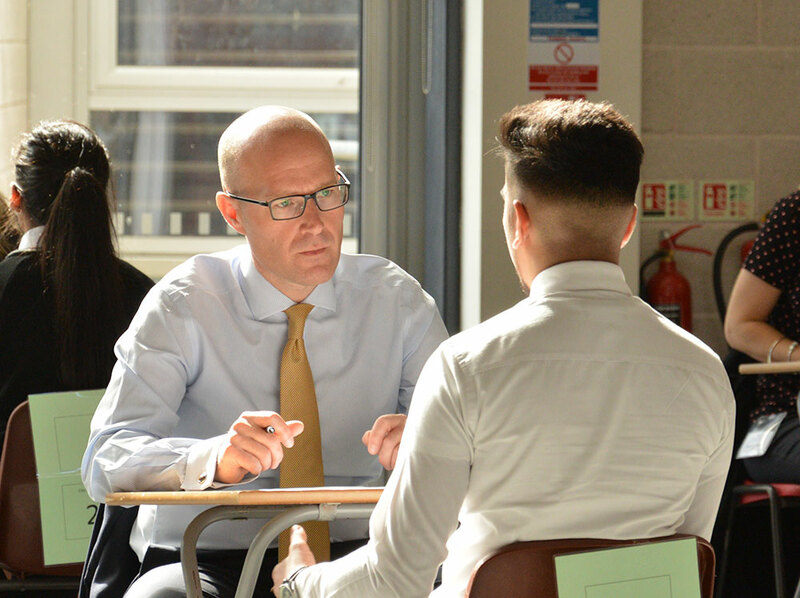 Working with all of the secondary schools across Derby city and many primary schools, E4E is fast becoming a key element in the delivery of careers, employability and enterprise skills. Helping the city’s young people to develop their employability skills before they leave school. Having a positive impact on young people’s lives and future prospects. Boosting the wider economy and providing employers with a wider talent pool to employ from. Becoming an E4E volunteer can also raise the profile of your business amongst potential future employees. It may also support your organisation’s CSR and/or staff motivation programmes. For further information about how to get involved please contact the E4E team on 01332641600 or email e4evolunteer@derby.gov.uk.